Instruments stored in protective carrying case. Grip strength is measured by the hydraulic hand dynamometer and pinch strength by the mechanical pinch gauge. 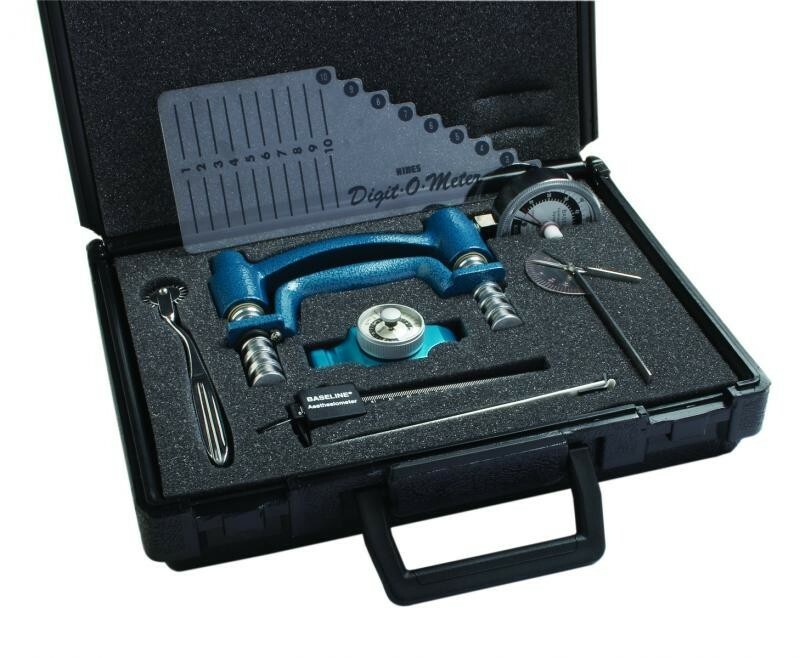 Other measurements are made with the stainless steel goniometer, 2-point discriminator with 3rd point, Waternburg pinwheel, finger circumference gauge and functional finger motion gauge.